Cling Stamp from Impression Obsession featuring the silhouette of Mary kneeling by a manger. 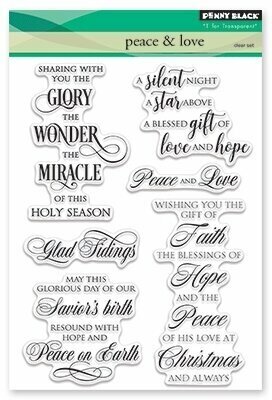 A fun, script design of holiday greetings makes a dynamic ornament focal point. Image measures approximately 3" X 4-1/2". This original design by Fran Seiford is deeply etched and precision cut from premium gray rubber on a 1/8" gray rubber foam backing then mounted on a cling vinyl decal with full sized image for easier storage and use with an acrylic handle sold separately. 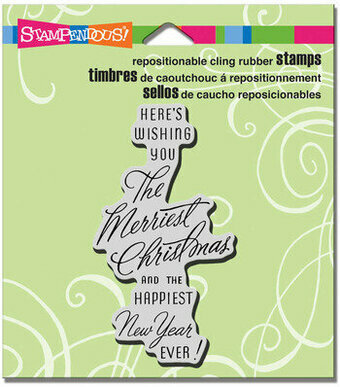 Impression Obsession cling stamp featuring the Christmas sentiment "merry wishes." A beautiful robin stamp with a faux wood background - perfect for hand colouring! Use it on its own, or use it with the coordinating die set. Coordinates with CED3149 "Festive Collection Natalie". Rubber cling stamp. This Christmas themed Penny Black wood mounted rubber stamp features birds and the sentiment "Merry Christmas". 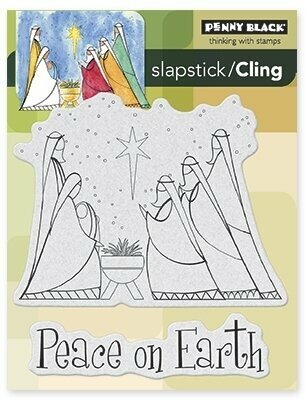 Cling rubber stamps featuring Christmas ornaments, stars, and more! These detailed stamps are the perfect way to add fun images to your cards, scrapbook pages and more! Use with any clear acrylic block. Christmas themed Impression Obsession cling stamp featuring the word "Noel" and holly leaves. Christmas themed cling rubber stamps from Stamping Bella featuring reindeer. A cute stamp set featuring adorable penguins. This set is perfect for designing Christmas projects, or other Winter themed designs. Designed by Lisa Horton. Simply mount your clear stamps onto an acrylic block or stamping tool and get stamping. Includes 16 stamps. 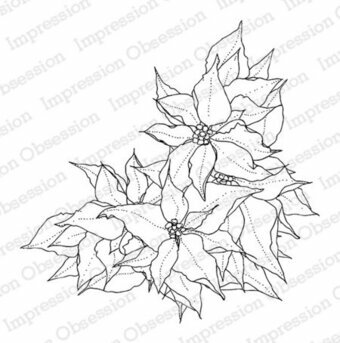 Christmas themed Impression Obsession cling stamp featuring many poinsettia flowers. Christmas themed cling stamp featuring Polar Bear On A Cupcake, and the sentiment "Make A Wish". 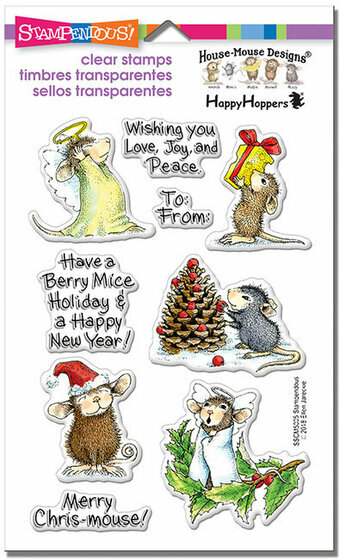 Christmas themed clear stamps from Poppystamps. Includes 15 stamps and 1 die. Christmas themed Clear stamps from Poppystamps featuring Poinsettias. 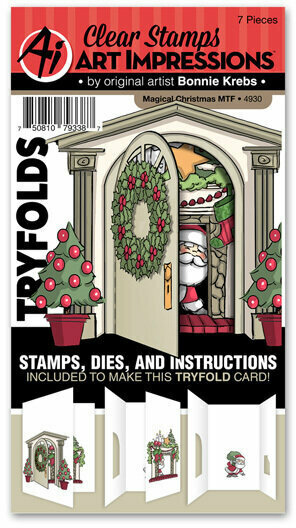 A selection of holiday greetings to add to your Christmas projects this year. Designed by Lisa Horton. Simply mount your clear stamps onto an acrylic block or stamping tool and get stamping. Includes 6 stamps. Christmas themed rubber stamp featuring a reindeer and the sentiment "Season's Greetings". This rubber stamp features a hardwood base with an indexed edge to make the stamp easier to hold and a precisely cut deeply etched rubber design layer that will leave clear, crisp, highly detailed images on most surfaces.